The NCGA Began Using a New Points System in 2018. If you have not created a player profile via Golf Genius, you’ll need to first register there in order to receive points. 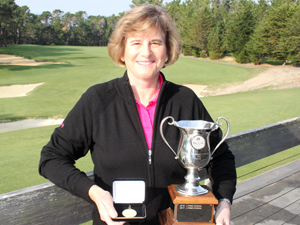 If you have a Golf Genius profile under WGANC or PWGA, you still need to register under the NCGA Golf Genius for points. 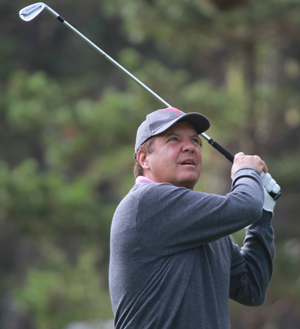 Want to see who the leaders are in each of the five divisions for NCGA Player of the Year honors? You’re at the right spot. Further below you can learn how the NCGA points system works, find the forms you’ll need if you’re hosting an event and see results from recent years. 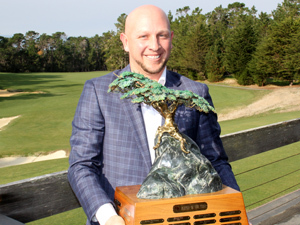 Former NCGA great Spencer Levin established a record in 2004, earning 2,770 points on the strength of California State Amateur and NCGA Amateur titles as well as low amateur honors at the U.S. Open. The senior record was established in 2013 by Sunnyvale ‘s Jim Knoll with 3,003 points. Burlingame’s Randy Haag has the distinction of holding the most Player of the Year Awards at six, with Casey Boyns next at four. 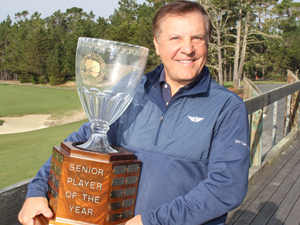 When he won his first Senior title in 2017, Haag became the first player in NCGA history to have won both a Player of the Year and Senior Player of the Year title. The 2016-2017 NCGA Points season runs from Oct. 1, 2016 through Nov. 30, 2017. Beginning with the 2017-2018 season, the season will run from December 1 through November 30 of the following year. All players begin each new points year at zero. The tournament finish date determines which year points will be awarded. Should an event change dates that would cause the event to be played twice in one points year then points will be awarded twice within that given year. ***Players keep in mind, important changes have been made to the Points Policies for the 2018 season. Among them: If a tournament does not have a points total associated with it, that means it is a “live tournament.” A “live tournament” will be between 50-200 points, depending on the size of the field when play begins. If you have any questions, please call 831-625-4653.